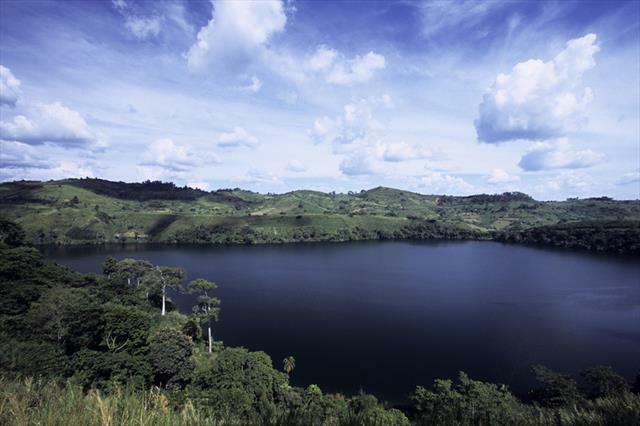 The Kibale-Fort Portal area is one of Uganda’s most rewarding destinations to explore in Africa. The park lies close to the tranquil Ndali-Kasenda crater area and within half a day’s drive of the Queen Elizabeth, Rwenzori Mountains and Semuliki National Parks, as well as the Toro-Semliki Wildlife Reserve. 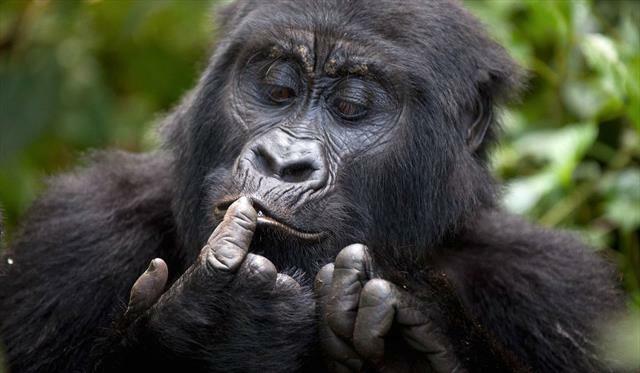 Kibale National Park is located in the districts of Kabarole and Kamwenge, approximately 320 kilometres, by road, west of Kampala, Uganda's capital and largest city. Fort Portal in Kabarole District is the nearest large city to the national park. The geology consists of rocks formed in the Precambrian period which are sedentary, strongly folded and metamorphosed. The Toro system overlaying these rocks forms prominent ridges of quartzite and sometimes schists and phyllites, which are intruded by amphibiolites, gneiss and granites. Some hills have layers of hard laterite exposed on them. About 90% of the Park is overlain by red ferralitic soils of which 70% are sandy clay loams in the North and 30% are clay loams in the South. These soils are deeply weathered, show little differentiation in horizon and are of very low to moderate fertility. The remaining 10% is where fertile eutrophic soil occurs on a base of volcanic ash limited to Mpokya and Isunga areas on the western edge of the park. The park has a tropical type of climate with two rainy periods, March to May and September to November. The annual mean temperature range rises from 14° - 15°C, - minimum to 26° - 27°C maximum. The annual rainfall is 1,100 - 1,600 mm. There is a pronounced dry season in December to February. Rain falls more in the North than in the South. 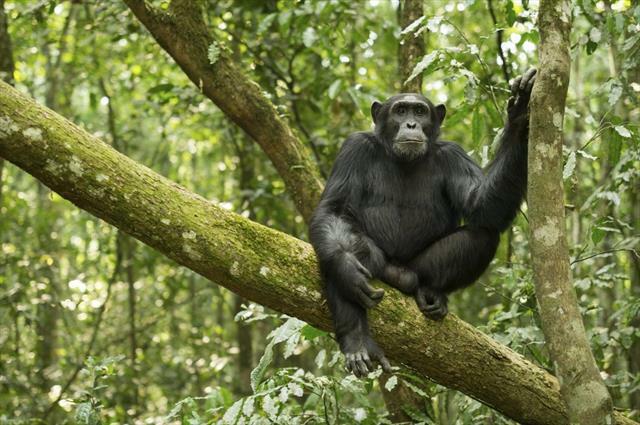 The forest cover in Kibale National Park is broadly classified into three. It is mid-altitude, moist evergreen in the north, gradually decreasing in elevation to moist semi-deciduous in the south and a mixture of deciduous and evergreens in the central parts. 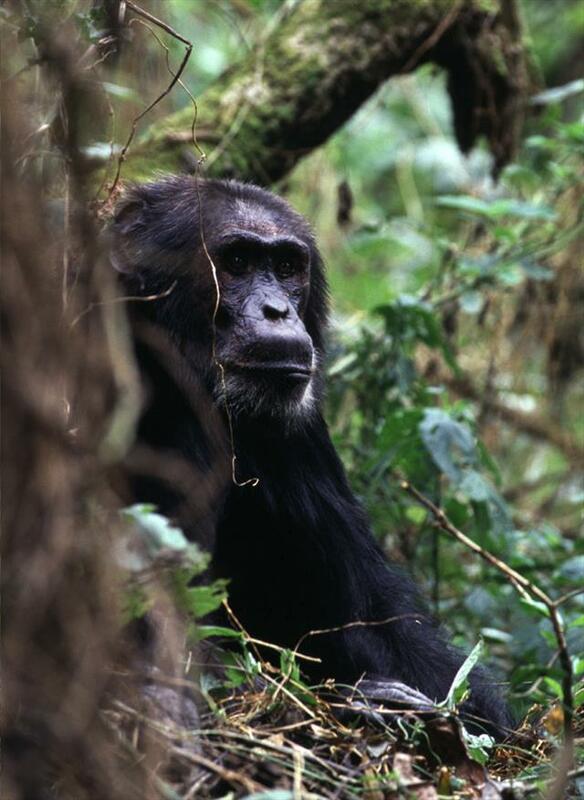 Kibale National Forest has one of the highest diversity and concentration of primates in Africa. 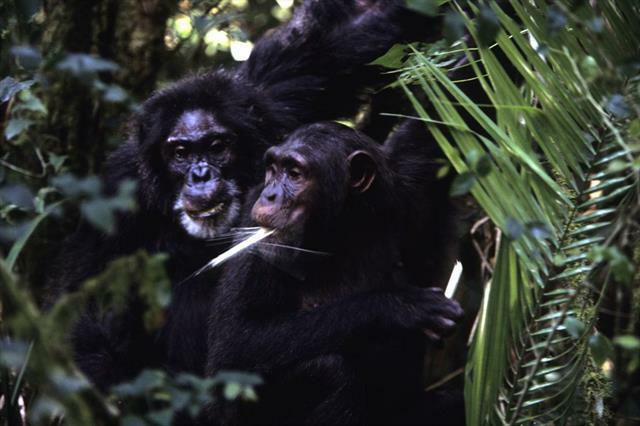 It is home to a large number of endangered chimpanzees, as well as the red colobus monkey considered Endangered and the rare L'Hoest’s monkey that are considered Vulnerable. The park is also home to over 325 species of birds, 4 wild fellids, 13 species of primates, a total of at least 70 other species of mammals, and over 250 tree species. 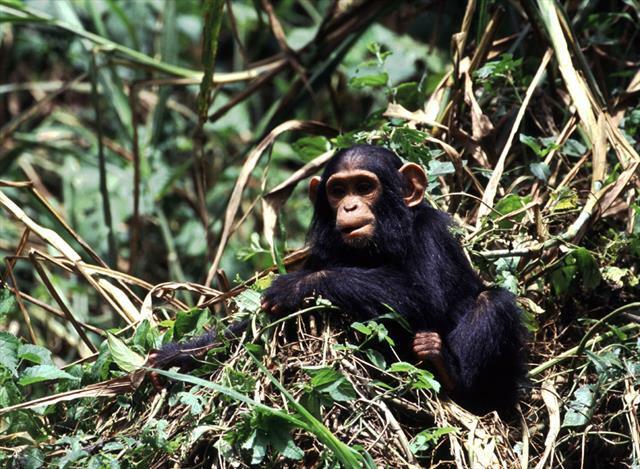 There are 13 species of primates in Kibale National Park. 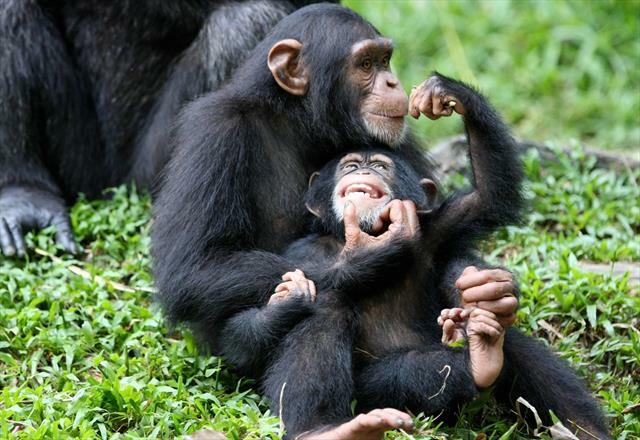 The park protects several well-studied habituated communities of common chimpanzee, as well as several species of Central African monkey including the Uganda mangabey (Lophocebus ugandae), the Ugandan red colobus (Procolobus tephrosceles) and the L'Hoest's monkey. Other primates that are found in the park include the black-and-white colobus (Colobus guereza) and the blue monkey (Cercopithecus mitis). The park's population of elephants travels between the park and Queen Elizabeth National Park. Other terrestrial mammals that are found within Kibale National Park include red and blue duikers, bushbucks, sitatungas, bushpigs, giant forest hogs, warthogs, and buffalo. The carnivores that are present include leopards, african golden cats, servals, different mongooses and two species of otter. In addition, lions visit the park on occasion. Bird life in the park is so prolific, boasting over 375 sited species of birds, including the western green tinker bird, olive long-tailed cuckoo, two species of pittas (African and green-breasted) and the African grey parrot, Imperative to note that the ground thrush (Turdus kibalensis) is endemic to Kibale National Park. The park boast over 229 species of trees found within the moist tropical forests of the park. Some endangered timber species of trees include; Lovoa swynnertonnii, Cordia millenii, and Entandrophragma angolense. The forest understory is dominated by shade-tolerant shrubs and herbs, which include Palisota schweinfurthii and Pollia condensata, in addition to ferns and broad leaf grasses.